Recently Venus has been catching my eye as much as the moon. To me it appears to have become a whole lot brighter and bigger over the past few months, perhaps a year. And not only that, but the glimmer no longer appears uniform like other stars; it resembles more of something of that of a shard. When I googled this, I came across other videos and forums where others have noticed this as well. I'm curious to know whether anyone else has observed this? I got access to a 12" inch maksutov telescope stationed in the Netherlands. The scope has a custom tracking mount and tracking software. Attached around the main telescope are tons of smaller scopes, with a solar Ca-K, and H-Alpha filter. I am planning to visit it soon, so I would be able to make observations and take photos. Hopefully at day and at night. So if you want something photographed, specify it here. Give me as much information as possible; like: Celestial object, time and date, exposure settings (The main telescope has an aperture of f16) file type, processing, time lapse settings, amount of photos to be taken of observation. Interested to hear what you want photographed! carter15 wrote: Hi All... first post here thank you Eric for approving me. "Does it reflect and bounce light off the moon?" 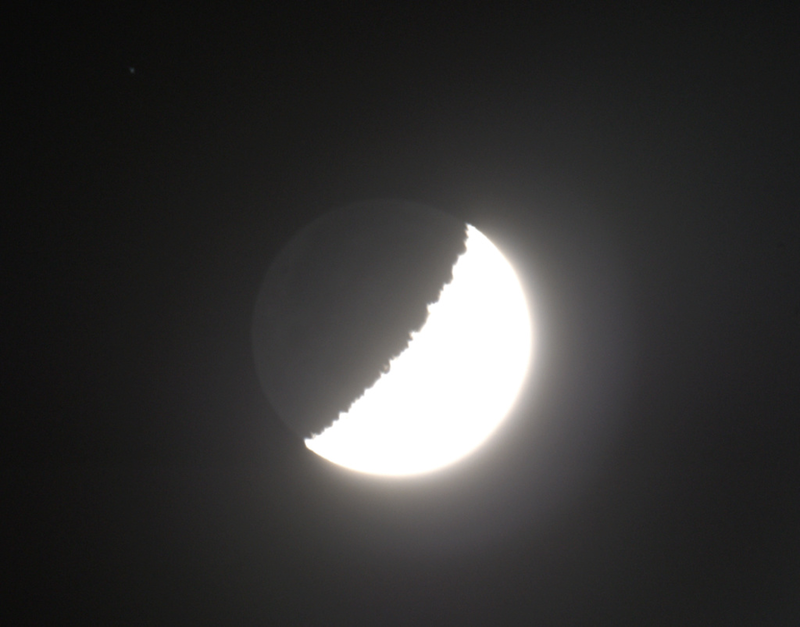 You can actually see this alleged earthshine on bright days, and photograph it too. So I do not think the dark part of the moon disappears. I have photographed it with my Fuji X-A1 and Canon FD 300mm f5.6. Cyriak - Masta Piece acknowledges that the dark part of the moon is visible when the moon is visible depending on light conditions , we can all see that , his point is that during the new moon the dark whole of the moon is invisible where it should be visible dimly through reflected light from earth - this we never see. I once tried to locate the new moon by looking for occulted stars - couldn't find it . Has anyone managed to do this I wonder? Another good video showing anomalies within the heliocentric model . What's even greater about this video is that its not just a full moon at midnight, but it was shot on new-years day 2018 so you can hear fireworks going off in the background, confirming that this shot was taken at midnight. Also, based on the other videos on this YouTube channel it doesn't even seem like the guy who shot this video is a flat-earther. Which helps add even more credibility to the video. I've been researching flat-earth for awhile now and haven't noticed anyone bring up this point so far. So I figured this would be a good place to draw attention to this video, and perhaps encourage others to take video of a full moon at midnight. That's an interesting interaction with the moon/clouds toward the end of the video you provided. 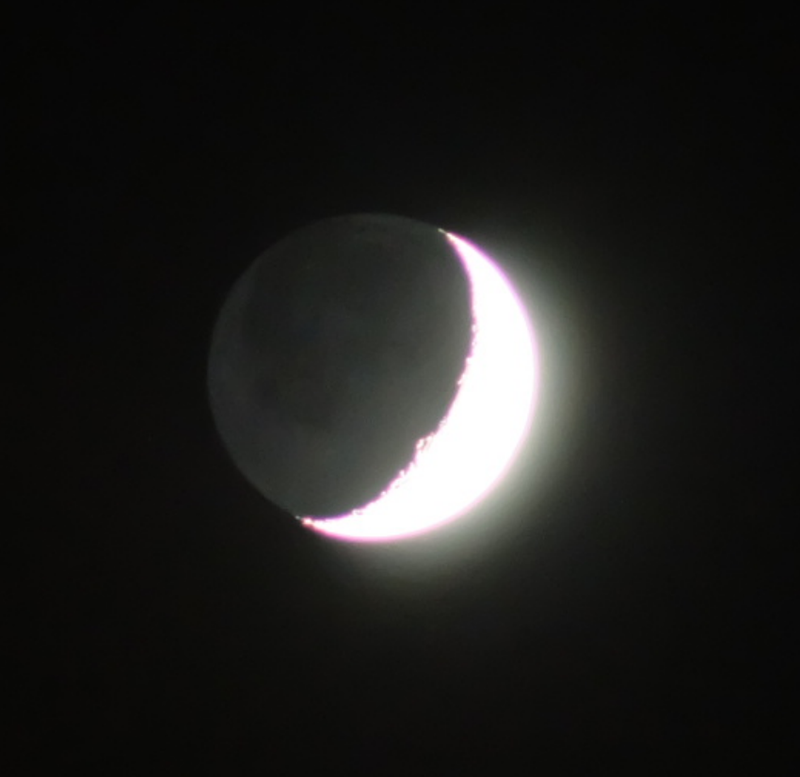 It's interesting how the zoom lens cuts through the cloud layer to render such a clear view of the moon. Your comments led me to another video at space.com. It depicts the phases of the moon for the whole year. I thought it was pretty interesting. WHO TO BELIEVE— DUMB NASA GUY OR DUMB NASA ANIMATION? Or, do you believe the below animation, provided by NASA, depicting the 27.3 days for the moon to go 360 degrees, that it takes Earth 1 day to do? Credit: NASA's Scientific Visualization Studio. The NASA clown and the NASA animation, can't both be correct.﻿ I would say that one obviously must be telling a fib, except as we know, both man and animation are telling big fat fibs, since the moon doesn’t orbit around a pretend spaceball hurtling through space while keeping up with the sun sprinting along at 43,200 mph toward the object of his devotion, the every bit as imaginary Lambda Herculis, in the great out there somewhere.